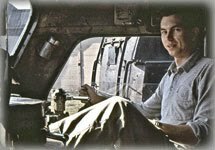 Oil-Electric: Do you remember: The 4-S? Do you remember: The 4-S? I remember seeing photos of this locomotive in Railroad magazine during my formative “oil-electric” days. Primarily used on locals that ran down into Mississippi, and returned back to the Jackson area unit. But that apparently died in the early 1950’s, someone somewhere deep in the bowels of corporate got the bright idea: “Hey! With the building boom in the locomotive market going on, let’s grab a piece of the pie! GM, Al Co, Baldwin, Fairbanks Morse, and others. So it was not to be. Despite creating an impressive catalog of horsepower with various configurations, only a solitary demonstrator was built. Severely damaged by Hurricane Katrina, Ingalls Shipbuilding, now Northrop Grumman Corporation, is fully recovered and doing what they do best … building commercial vessels and navy ships and offshore drill rigs. Their one and only locomotive, the Ingalls 4-S, going to the Gulf, Mobile & Ohio Railroad. 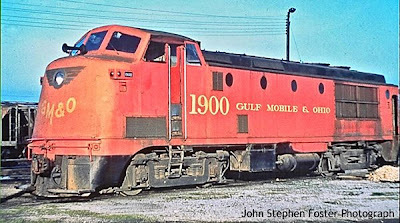 Railroad Stuff: Gulf Mobile & Ohio 1900, built by Ingalls Shipbuilding as model 4-S, 1,500hp, 1946. Superior 8 cylinder inline prime mover. 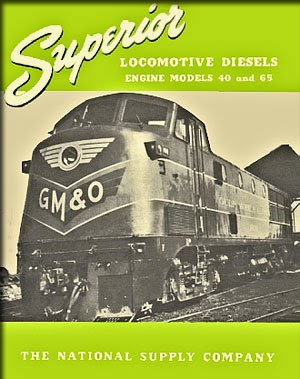 Traded to EMD in 1967. Ended up down the road at Pielet Brothers bone yard.